Sonoma Raceway will host more than 45 days of racing action on its drag strip during the 2019 season, as the Sonoma Valley facility celebrates 50 years of racing in wine country. The NHRA Sonoma Nationals will highlight the schedule for the 32nd consecutive year, as the Mello Yello Drag Racing Series returns for its only stop in Northern California. The NHRA Division 7 Drag Races, presented by Korbel, Summit ET Bracket drag racing and the popular Wednesday Night Drags program also return to the drag strip. The 10,000-horsepower machines of the NHRA Mello Yello Drag Racing Series will rattle the grapevines as NHRA's best go head-to-head in the world's fastest race cars, reaching speeds over 330 mph, July 26-28. The 2019 national event will also feature the return of jet dragsters following Friday night qualifying, July 26. The weekend will also look back 50 years of drag racing history in Sonoma, as the raceway's celebrates the sports legends, it's memorable moments and incredible fans throughout race weekend. The NHRA Division 7 Drag Races, presented by Korbel, sets the stage for back-to-back weekends of drag racing in Sonoma, July 17-21. The NHRA Lucas Oil Drag Racing Series returns to Sonoma for its first-ever double-header event. More than 500 sportsman racers will compete at two separate events in one weekend; the first will span Thursday-Friday, with the second event on Saturday and Sunday. 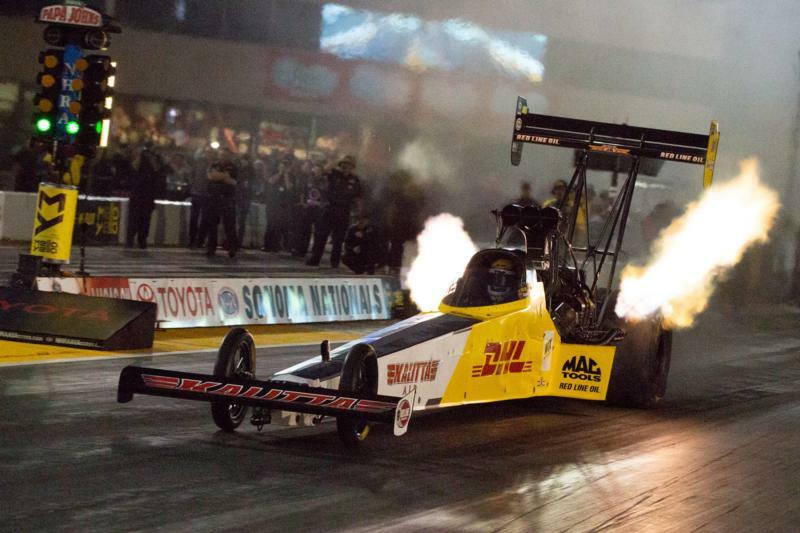 In addition, Top Alcohol Dragster and Funny Car classes will return to Sonoma for the first time in over a decade. The raceway's popular Wednesday Night Drags program enters its 31st season this year. Attracting more than 200 drivers nightly, Wednesday Night Drags is one of the most anticipated events among local racing enthusiasts. The amateur drag racing competition runs most Wednesday evenings from March 13-Nov.13 and gives anyone with a driver license and a car that passes a simple technical inspection a chance to race down the quarter-mile drag strip. The fan-favorite Top the Cops™ program, which gives teens the chance to race against law enforcement officers, who compete in full uniform in their official vehicles on the quarter-mile drag strip, will run from April through August in conjunction with Wednesday Night Drags. Throughout 2019, the Summit ET Bracket Drag Racing Series will feature 12 races, including the popular Memorial Day weekend and Independence Day events. These events feature five classes of sportsman competition and generally attract more than 300 competitors. All Wednesday night drag racing and bracket events can be watched live at SonomaRaceway.com/live. For more information on these programs, complete drag strip schedules and more, visit www.sonomaraceway.com or call 800-870-RACE (7223) ext. 209.